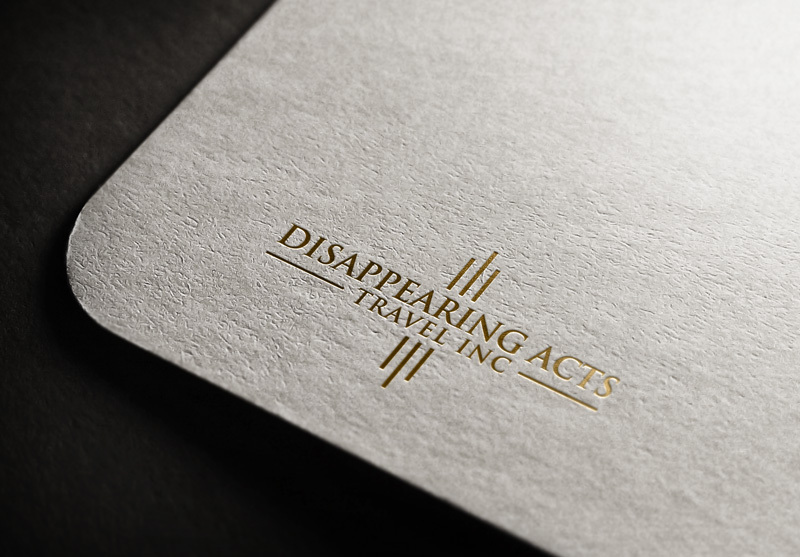 Design Brief for DISAPPEARING ACTS TRAVEL INC.
We are a Luxury Travel Agency. Our clients typically use Private Aviation, Yatch's and events such as complete exclusive use of the Entire Four Season Resort in Costa Rica for a wedding. Require a crisp, refined logo to project that image. We are looking for the colors of black, gold and silver may be used. This logo will represent our brand in every way possible. No icons please. . Make Us Stand Out and Exclusive. NO ICONS. boats, planes, globes - NONE OF IT. Nor should I web address be included.